Northeast Vietnam situates in the North Pole area of Vietnam territory, China to the east, Laos to the west, and the South China Sea to the east. This part of Vietnam is the largest one compared with Central and Southern Vietnam, with 1650 km of length and 500 km of East – West width. The northern topography is various and complex with mountains, plains, coast and continental shelf. The topography here is characterized by high and craggy mountain ranges stretching from the north (connecting China) to the west. There are many meadows at the height of 600-700 meter. Weather in Northeast Vietnam is characterized by relatively high temperature and humidity. The northern climate is continental climate, as affected by the weather of Chinese mainland. Meanwhile, a part of coastal area is influenced by features of subtropical climate and land-based monsoon. Northeast region includes northern plains, mountains and midland (the east part of Hoang Lien Son Mountain Range). This region is characterized by relatively flat and low topography. The northern mountainous area is not very high, under 3000 m. It consists of Dong Trieu, Bac Son, Ngan Son, Gam River, and Hoang Lien Son. They meet towards Tam Dao mountain range, which does not prevent the formation north and northeast winds usually blowing in the winter. The winter in northern Vietnam is colder than the rest parts of the country. The northeast area is adjacent to the Gulf of Tonkin in the east, and prevented by Hoang Lien Son range in the west, which forms ocean climate here. This area is home to nearly 3000 islands of Halong Bay, Bai Tu Long, and Cat Ba Island with gorgeous beaches such as Tra Co, Bai Chay, Tuan Chau and Van Don (Quang Ninh). The weather in Northern Vietnam is directly affected by tropical hurricanes and less influenced by Foehn from Laos. 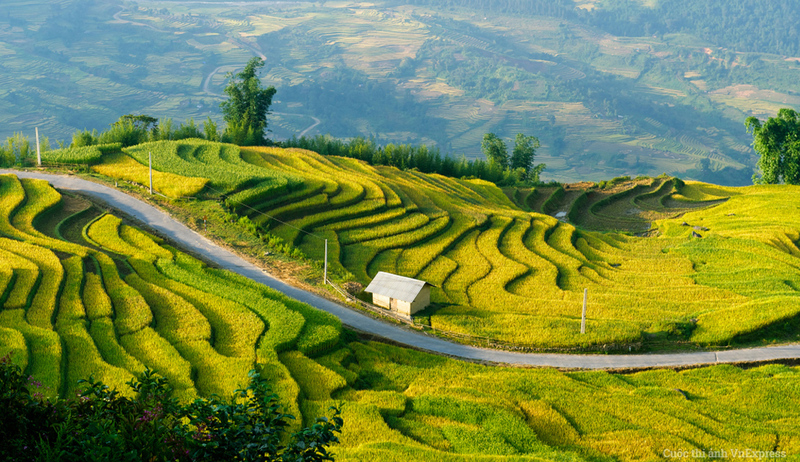 As being characterized by tropical climate, the region of Vietnam has four distinct seasons of spring, summer, fall, and winter. Annually, the weather is impacted by northeast and southeast monsoons. The average temperature is about 25°C, and then gradually increases from north to south; the average rainfall is ranging from 1700 to 2400 mm. The weather in summer (from May to October) is hot, humid, and rainy until the presence of monsoons. The temperature may mount to 37°C in the peaks of June and July. In the winter, the temperature falls, especially in December and January. The Vietnam weather in the northeast is colder than other same-longitude regions in South East Asia during the winter. From November to March, it gets colder and colder, and then warmer in April. The time also witnesses much cloud and frequent drizzle. To northeast is the Central Uplands with an area of 102.9 thousand kilometer, accounting for 30.7 percent of the total area of Vietnam. 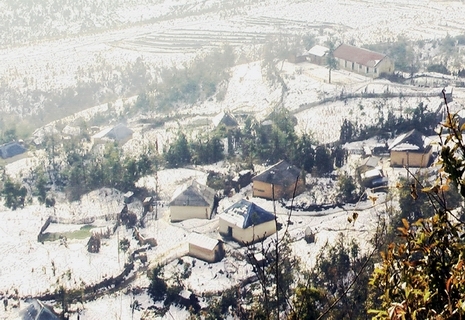 Mountainous areas such as Lao Cai, Ha Giang, Cao Bang, Lang Son may have temperature lower than 0°C, and snow sometimes appears. This pattern of topography creates a moderate climate with the average temperature of 15°C – 28°C. At the end of mountains chains, the weather is very cold.